A full length interview with Professor Tim Garrett, University of Utah. Clouds, Arctic pollution, & climate change. Energy, wealth & collapse. The life-cycle of civilizations and the electricity of brains. A wide-ranging interview, bound to be a classic. Radio Ecoshock 181003. Welcome to my third encounter with Dr. Tim Garrett from the University of Utah. Tim is an atmospheric scientist studying one of the big unknowns of our future climate: the behavior of clouds. Garrett also publishes papers on what I will call the physics of large-scale economy. He says civilization is a heat engine. The climate ramifications of that is a rabbit-hole where even confirmed preppers should shiver. Let us explore the clouds, the climate, and the Arctic – with a side-order of inevitable collapse. Tim is Professor of Atmospheric Sciences at U. of Utah, and President and co-Founder of Particle Flux Analytics. 2. the way Garrett applies theory from physics to understand our economy and prediction of our troubled future (covered further down in this blog). We all know that climate change is happening on steroids in the Arctic, where warming is much more extreme than anywhere else on the globe. The Arctic winter is now warmer and so are the seas. The season for sea ice is shorter. Summer sea ice may disappear entirely soon, except around a few Canadian islands. Greenland is melting, and some summer days in the far north feel more like the tropics. In 2018 we saw summer heat waves in Siberia and Alaska. What does all that mean for clouds in the Arctic, and are clouds affecting climate change there, or even globally? We discuss that. In order to help scientists add realistic clouds to other models, Garrett and his colleagues have just published new science which offers a simpler formula to do that. According to Tim, it requires countless hours on rare super-computers to calculate just the clouds for complex climate models. His new formula allows many more runs in a shorter time, meaning scientists can consider more options and concentrate on other variables. That paper is: “Thermodynamic Constraints on the Size Distributions of Tropical Clouds” with authors Timothy J. Garrett, Ian B. Glenn, and Steven K. Krueger. It was published in the Journal of Geophysical Research: Atmospheres on 23 July 2018. Find an explanation for the public written by By Paul Gabrielsen here. While we don’t know the reaction of clouds to climate change, Garrett suggests if more clouds do form in the Arctic, that could speed up sea ice loss. The cloud cover can act as a blanket reflecting heat from the warming seas back toward the surface. But secondly, it explains how smog from our tailpipes and factories further south are migrating to the Arctic. The Danish scientists Jason Box gave us another illustration of that fact when he showed photos of gray glaciers in Greenland. They should have been sparkling white and bluish, not dark gray. The new paper by Coopman, Garrett and others also relates to more research just published in September 2018. Lead author J. Schmale shows that “local pollution” is also an important factor in the Arctic. By local, he appears to mean smog coming from settlements in the Arctic (more in Alaska and Russia than elsewhere) – but also relatively nearby regions, especially in Europe and Asia. That paper is “Local Arctic Air Pollution: A Neglected but Serious Problem“. I found out about it from Tim Garrett’s Twitter feed @nephologue and we discuss what it means in our radio interview. There was a big surprise for me in all this new science. I know that clouds require some particulate matter to collect moisture from the air, and thus pollution could increase clouds if there is enough water vapor in the atmosphere. I assumed that the growing number and size of forest fires in the great boreal forests of Alaska, Canada, and Russia could lead to more clouds in the Arctic. Garrett says these fires do lead to a lower level of haze or smog (which he has seen). But investigation shows wildfire smoke has not led to more clouds. The smoke doesn’t reach the regions of the atmosphere where clouds form (…is my understanding of what he said). Tim explains we will consume as much matter and energy in the next 30 years as we have since 1750. As infinite growth is impossible, civilization must either decline organically or be forced to decline. You can find a great explanation of this theory in this 4 minute Vimeo (highly recommended). In several places, Tim suggests we may revisit a system-wide Depression like the 1930’s. I’m not sure the 1930’s is a good analysis, or that we can reach any historical precedent from where we are now. Maybe the 1930’s will seem good or mild compare to the climate-damaged future! Or maybe humanity will squeeze into a brand new phase. WHY “GREEN” ENERGY EITHER DOESN’T MATTER OF MAKES THE PROBLEM WORSE! Is Garrett saying that even if we manage to run civilization on solar, wind, hydro and geothermal – if growth is necessary, we are still doomed to collapse? Apparently so, and as we will see, he is not alone. Tim’s Tweet of August 15 links to a New York Times article where even climate-aware Germany still depends on coal for up to 40% of it’s energy. He says, “Historically, new energy sources add to the mix rather than replace their older foundation.” That sounds pretty bleak for the future of Green energy like solar and wind. I can hear some of my listeners objecting as if our love has been insulted, our dreams broken. At 25 minutes into this show, Garrett essentially says we use green energy to build more civilization – which converts more raw materials into civilization which needs more energy. 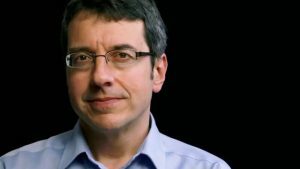 George Monbiot, activist, author and journalist. “We’re getting there, aren’t we? We’re making the transition towards an all-electric future. We can now leave fossil fuels in the ground and thwart climate breakdown. Or so you might imagine if you follow the technology news. WHALES TELL US GREEN ENERGY WILL NOT HELP? Here is another key article from Canada which corroborates Tim’s statements that green energy just helps boost consumption that adds to climate change. The article is titled: “Can New Energy Technologies Save the Planet? Ask the Sperm Whale, The history of North American whale killing reveals the lie that clean power will save us.” It’s by Andrew Nikiforuk, published September 26, 2018 in the TheTyee.ca. [U.S. sociologist Richard] “York has checked the evidence and it strongly suggests that market economies aren’t using solar, wind or geothermal to retire oil, gas or coal, but to boost overall energy consumption.” Find Richard York’s 2017 essay titled “Why Petroleum Did Not Save the Whales” here. I hope my recent correspondent in Nanaimo Canada takes note. He suggests that electric cars are just another climate bubble, especially when run on coal! (as they must be in most European countries still, despite minor gains in solar and wind energy). My other correspondent in Post Falls Idaho completely disagrees! He loves his electric car and bike. I’m still investigating this story. 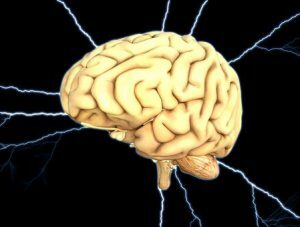 Garrett tells us that the brain employs about 25 watts of electric power, about one fourth of all the energy we produce from the food we eat. In a response to a comment at his blog “Nephologue”, he writes “feelings and the sense of free will must require some degree of energy consumption and dissipation to exist as a process“. But are we all just a formula that can be deduced by physics? I worry Garrett may be trapped within glasses made from physics and math, and see everything through that lens. Take this example: Who cares what energy the brain and the rest of the body may be burning during a dream? Can we measure that energy in the sleeper and think we understand the dream, within a margin of error? I ask Tim directly that question in the interview. This also gets me thinking just now: are ideas “things” which must follow the laws of physics? If so, surely that leaves us open to being controlled, including our thoughts, by anything of greater intelligence, whether human, organizational, or artificial. In the Abstract for his 2012 paper “Can we predict long-run economic growth?”, Garrett again talks of civilization as just another organism or physical system. In the physics-based formula Tim employs to relate climate, energy, and economy – his language suggests human civilization as a whole is like a cell. If we inject sugar, the cell grows and grows according to the amount of sugar injected. If fossil energy is the sugar, is the relationship that simple? For example, without ideas, including from Einstein, we might not be where we are. What about the role of innovation, lack of innovation, or the accumulative knowledge of science as food for civilization outside of energy? That breeds a lively discussion. Tim says we are in a super exponential growth or explosive growth. But beware! In biology and in civilizations, explosive growth tends to end in explosive collapse. At 47 minutes into this interview, Garrett suspects there are two modes of decline available to us. We could go down more gently, like a wave in the open ocean. Or we could crash finally like the wave on the beach, a more likely option in his view. During this new Radio Ecoshock interview, Tim Garrett raises a very deep idea that permeates a lot of his work on both clouds and economy. He calls it “scale and variance for self-similarity”, saying “in much of nature, whatever scale you look at, things look the same“. For me, the system of stars in the universe does remind me of a vision of atoms in space, and I presume both operate by the same electronic and gravitational laws. Or consider how tiny insects and very large mammals share basic body forms (like a central body with organs, limbs, eyes…] Give this big theory a listen at the 32 minute mark of this show. Tim promises to write a new blog to explain it for the rest of us. I’m going to give you a lot of information and links here. Why? Tim Garrett’s work on civilization, energy, and collapse is super important. It follows a line of development. You could take a couple of hours and listen to Tim’s past Radio Ecoshock interviews and really get a very big picture of where we are and how we operate. I estimate about 200 people a month listen to my past interviews with Tim Garrett from our archives, at ecoshock.org and at archive.org. The interviews are not time dependent, but work best if you listen to them in order. My first Radio Ecoshock with Garrett was in February 2010, when he asked whether global warming was unstoppable, and collapse our best hope. You can download or listen to that 17 minute interview here. 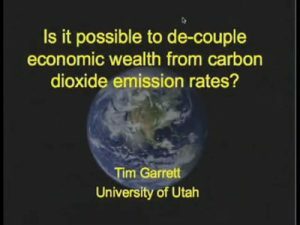 Here is a description I wrote for that interview: University of Utah Associate Prof. Tim Garrett says carbon burned = civilized wealth. We must either construct a nuclear reactor a day, or experience harsh economic collapse, to have a habitable climate. We discuss the link between growth economy and climate doom. This one stays in the mind. Here is a full listing of Tim Garrett Radio Ecoshock interviews and resources. You can listen to (or download) Tim’s first Radio Ecoshock interview (February 5, 2010) here at archive.org. His second (November 19, 2010) is here. Plus there is a transcript of his November 19, 2010 interview here. “Long-run evolution of the global economy: 1. Physical basis” First published in “Earth”s Future”, an open journal of the American Geophysical Union, on March 4th, 2014. I have a detailed, step-by-step summary of Tim Garrett’s main points, as I understand them, half way down in the blog below (past the story about Chernobyly radiation…. It’s a good introduction to his thinking, but then you really need to read his papers! You can listen to or download my interview May 6, 2015 with Tim Garrett here in CD Quality or Lo-Fi. In that interview, Garrett tells us he wrote the second paper in his series partly based on a question I asked him after the first was published, that he could not answer. Maybe Radio Ecoshock helps inspire new science? USE TIM’S TWITTER FEED AS AN INDEX TO HIS WORK AND THINKING! You can find Tim Garrett’s Twitter feed at @nephologue. That’s worth the trip, because each tweet leads to delicious and/or disturbing places. My previous two interviews with Tim Garrett are still rich, still downloaded a couple of hundred times a month for years. In fact, you can use my site to explore conversations hundreds of top climate scientists and authors. Please listen and pass it on. Thanks to listener support, all my past shows and interviews are free anywhere in the world, at ecoshock.org. Please help me keep going! Radio stations get this program for free (so we can get the real truth out there as far as possible). Only your donations and memberships keep me on the air. Let me leave with this: as the Christmas consumer shopping extravaganza begins, I end this program with the song “Beatitudes of Buylessness” by the Reverend Billy Talens and the Church of Stop Shopping Choir. Find them at revbilly.com. Thank you for listening, and please join me again next week for more Radio Ecoshock. “scale and variance for self-similarity”, I thought he said ‘scale invariance or self-similarity’. Ha. I wonder what that flat affect in TG’s voice implies? You tried to raise his sentimentality towards the end but he deflected you, seemed to me. Overall, a challenging interview to listen to.